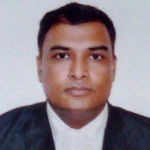 Q.How to handle/avoid case against me for education loan? My name is Sriram from Vellore (Tamil Nadu). I got education loan for my engineering degree (2008-12) but could not able to repay entirely. I could not get a job for an year and the job wasn't paying me enough to handle my own expenses. And my mom got cancer and entire money went for that. and I paid 1.25 L and rest am paying month on month (15,000 per month). Am ready to pay 15000 every month but they filed a case against me and asking me to pay 1.5L now but I don't have any jewels or property to sell and pay them. I tried but could not get bulk money. The bank is not accepting my request. If they arrest me, my entire career and life will get spoiled. Kindly provide me suggestions that how can I handle the situation? 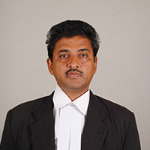 A. Pl take services of a local expert lawyer for the same. A. declare yourself as insolvent by filing an application under Insolvency and Bankruptcy Code 2016 before the DRT. Contact Vidhikarya for allotting a local DRT advocate for drafting and filing the application. There are several circulars from bank as well as from State and Central Government wherein repayment educational loans is either waived of or given facility of installments without interest. Please consult any experienced advocate. A. Project your case and show the judge about your mother pitiable condition and your meagre income and medical expenses. No judge will order arrest after going through your case. A. Engage an Advocate and inform the Judge about your situation with the medical papers. The Judge will grant you time to replay the loan.